A fireplace can be an attractive addition to any room, but a fireplace with a Napa Forge Shakespeare’s Garden Graphite Fireplace Screen can truly elevate the elegance of your home. Complete with high-quality brass construction and classic styling, this hearth accessory provides a perfect accent for any fireplace or insert. Regardless of whether you've got a fire going, you'll love the way this screen looks. Its two stable legs hold the screen firmly against fireplace. 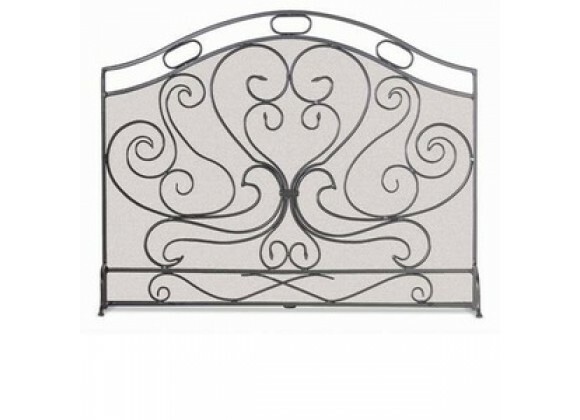 Goes well with Bowed Shakespeare’s Garden Screen, 5 Piece Shakespeare’s Garden Toolset or you may enjoy the 3 Panel Shakespeare’s Garden Screen.